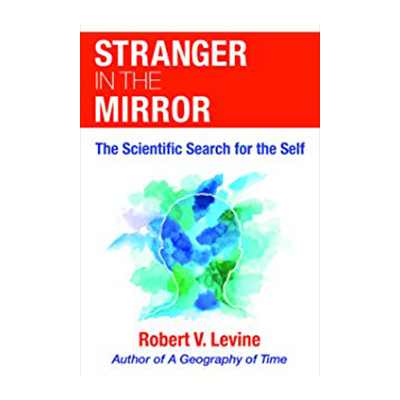 If you are ready to have your personal views altered regarding your definition of “Self” then my interview with Robert Levine about his new book entitled “Stranger in the Mirror-The Scientific Search for the Self” is a great place to begin. Robert and I, explore the psychology of the mind and the big question about “who we really are”? I know this is a deep thought provoking questions and infrequently gets our attention, but during our interview, we explore this questions. Frequently, we just go on with our daily routines of life, and really never give any thought to this question of “Self”. Our brains are the software running the computer-us. The bigger focus needs to be on how we can reprogram our brains-thus reprogram or “self” and what role do we play in that reprogramming process. “Stranger in the Mirror,” is a book filled with examples from multiple personality disorders to a learning more about how our two hemispheres of our brain interact to inform and guide us in our decision-making process. The stories and examples from real life examples are very revealing and inform us about how “we” work. If you want to learn more about the “Stranger in the Mirror” please visit Robert Levine’s website. There you will find articles and resources on this topic as well as more information about Robert’s other books.